If you need help with alimony contact our Fort Lauderdale alimony attorney at the Law Office of Gustavo E. Frances knows how to get your alimony from standard to what you deserve without it getting as messy. Getting divorced is nothing new. The laws surrounding divorce are pretty consistent too. There may be some changes here and there, but mostly the laws and regulations have stayed the same. So why do you need an attorney by your side? Because even those laws don’t change doesn’t mean that culture or society stays the same. A good divorce attorney can be the difference in you getting the max alimony you deserve or the standard alimony that is custom in cases. Our Fort Lauderdale Alimony Attorneys at the Law Office of Gustavo E. Frances know how to get your alimony from standard to what you deserve without it getting as messy as the Gieseke’s 6-year divorce battle. Gary Gieseke is a neurosurgeon who was married to a Cuban immigrant/part-time model when she was 22 and he was 31. As he worked she lived a luxurious life. They adopted one son and had a biological daughter. The couple chose to divorce almost 20 years later. The divorce was contentious. It lasted for more than 6 years with over 50 testimonials from witnesses who relayed stories of “adultery, violence, kidnapping, greed, deceit, and the devastation to children caught in a legal war costing more than $500,000 in lawyers’ fees.” Their legal counselor considered the divorce a flexing of egos and stubbornness to hurt the other. In the years that they were going through a divorce, the wife was protesting that Gieseke did not pay her the total amount of alimony. He said that he would not pay her the full amount unless he was given back their wedding ring which was estimated $40,000. The courts decided that withholding alimony for a ring was not good enough and threatened to send Gieseke to jail. Out of principle, he did a 10-day term instead of paying up to release him from jail time. The ex-wife also protested that she wanted permanent alimony where Gieseke wanted temporary. Gieseke even threatened to create a federal case to prove that his ex-wife was violating his civil rights. This messy divorce continued for 6 years. Resources were running dry and they were paying more and more in legal fees. When people say divorces are expensive it is because the couple keeps sending each other to court. Divorces can be easy and less costly if the couple is able to reconcile and work through their hardship. In the end, the ex-wife was awarded $1.5 million in marital assets and property. Gieseke was left with his million-dollar practice. 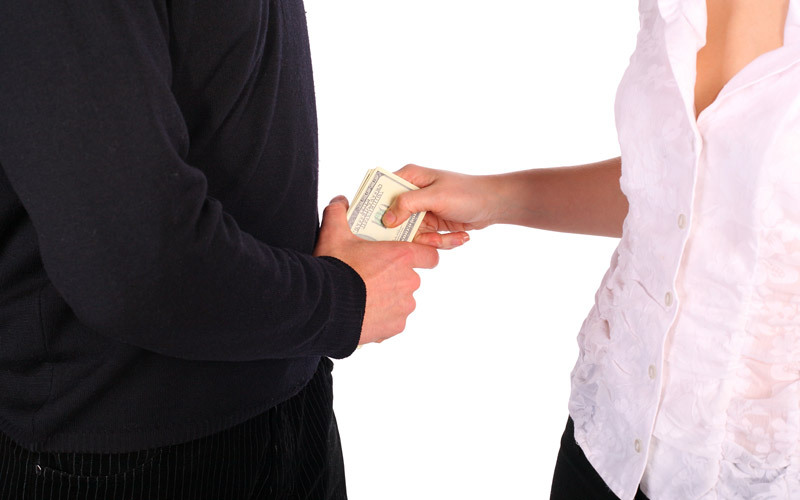 Alimony can be the one issue in a divorce that can drag out the whole process. It is a sensitive topic and can turn any amicable conversation into a heated debate. It is important to have representation that you trust because your future is at stake. If you need help with alimony then look no further than our Fort Lauderdale Alimony Attorneys at the Law Office of Gustavo E. Frances. Call 954-533-2756 or click here to start your conversation with our professional attorneys at the Law Office of Gustavo E. Frances in Fort Lauderdale today.